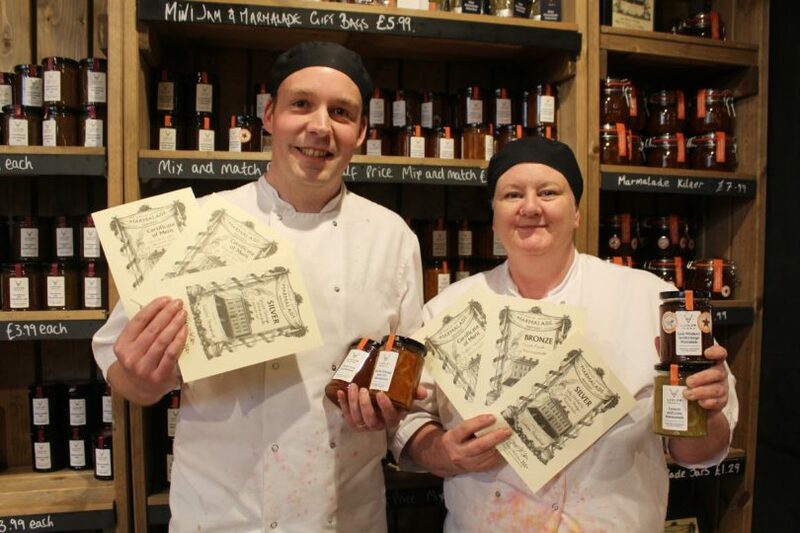 Darren Marsh and Tess Slater, who have been perfecting pickles, jams and preserves together since 2008, won two silver awards for their Lady Windsor’s Seville Orange Marmalade and Medium Cut Seville Orange Marmalade, Bronze for their Three Fruit Marmalade and three certificates of merit. The ‘World’s Original Marmalade Awards’ take place at Dalemain Mansion, near Penrith, Cumbria every year. This year they were held at the Marmalade Festival on 16th March.